Widespread public debate over vaccinations has experienced an uptick following a measles outbreak that began at Disneyland last December, bringing further attention to institutions such as California day cares, some of which report lower rates of vaccination among enrolled children than the state’s kindergartens. 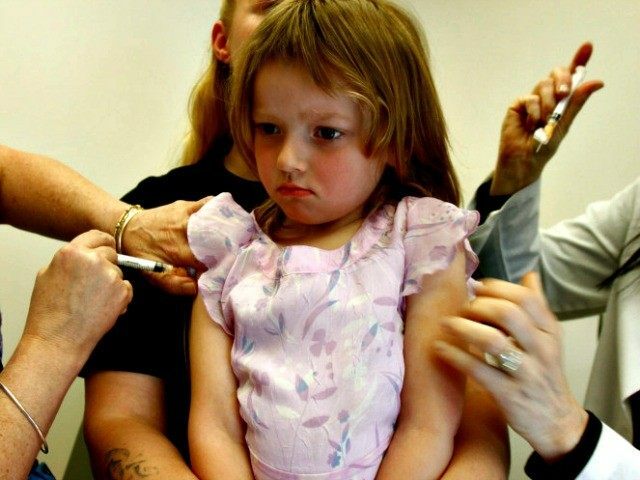 Summarized data released in California Department of Public Health state vaccination records show that over 96% of children— ages two years to four years 11 months — enrolled in reporting child care facilities have received the Measles, Mumps, and Rubella (MMR) vaccine. Statewide, those facilities registered an 89.4% rate of all required vaccinations at the start of the 2014-2015 school year. San Jose Mercury News reports four Alameda County schools, KinderCare Learning Center, Precious Time Christian Preschool, Valley Christian Preschool, and Peace Terrace Academy, have zero children with up-to-date vaccination records as of the beginning of the school year. According to a study released earlier this year, the majority of under-vaccinated children in the Sonoma and Bay areas can be found among communities of graduate level educated and low-income households. Only 2.6% of children 2-4 years 11 months enrolled in reporting childcare facilities included in the CDPH summarized data for the 2014-2015 school year were recorded as having “personal belief waivers” allowing those children exemption from full vaccination. Another 0.56% were permanently exempted from required vaccinations for medical reasons. Under current laws, California parents of school-age children may sign a “personal belief” waiver exempting their children from some or all vaccinations normally required for admittance to a school. However, the parental right to exempt children from vaccinations has come under attack in the form of a bill that would eliminate use of the school vaccination waiver. SB 277 was introduced to the California legislature in February and would end “personal belief” exemptions. The bill has already garnered the support of 26 democrat sponsors and two Republican supporters. Since the Disneyland measles outbreak began in California last December, at least 160 cases of the highly contagious disease have been confirmed across seven states, Canada, and Mexico in connection with the Magic Kingdom origin.One hundred thirty-two of those have occurred in California alone, according to numbers the California Department of Public Health released Friday.